The comments beneath Ben Affleck's Facebook "mea culpa" for having his slave-owner ancestor cut from the PBS show Finding Your Roots were pretty typical. Lots of white folks telling black people to quit grousing about things that happened over 400 years ago. A few white folks grumbling that if Affleck were a conservative he would have been tarred and feathered by the mainstream media by now. And, inevitably, a couple of brave black folks insisting that we are still reaping what we sowed 400 years ago, and then trying to defend the angry reactions with mini history lessons and references to current events. OH -- and one fan who offered: "Well said. Now let's talk about how badass the batman suit looks on you..."
It was all just more proof that we simply cannot discuss race in any meaningful way in this country. I don't think we'll ever get past this. I really don't. So I had decided not to even comment on the Affleck affair until I received an email from a complete stranger asking me what I thought of all this. We're registered members of the same online writing site, and I guess my picture and HuffPo archives led her to believe I might be interested in her views on the subject. 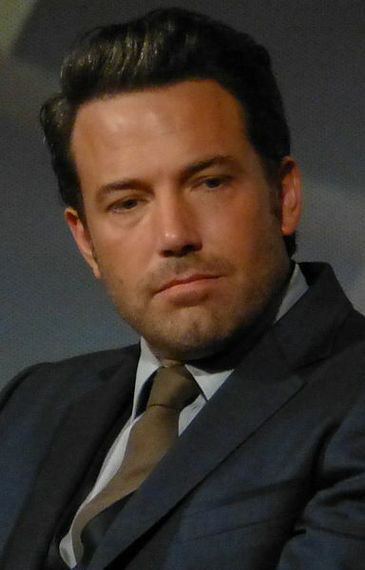 She said Affleck was a hypocrite for "criticizing" others and then "lying" about his ancestry. I wasn't sure who she felt he'd "criticized." Or that he'd "lied" about his ancestors... per se. But I do admit that I was a wee bit chagrined, having praised him here at HuffPo awhile backfor calling out Bill Maher on his misguided and myopic views on Muslims and Islam. I didn't want any television show about my family to include a guy who owned slaves. I was embarrassed. The very thought left a bad taste in my mouth. Was he wrong to omit his slave-owning ancestor? Absolutely. He missed a golden opportunity to have a meaningful discussion about the horror and anger he felt as that family secret was revealed. That's the kind of real-life story that touches hearts -- and changes minds. After some thought, though, I realized that a man who feels so strongly about bigotry would be deeply wounded and embarrassed to discover a slave-owner hidden in the branches of his family tree. He might, in fact, not even want to speak his name. Or to give him even one minute of "fame." I regret my initial thoughts that the issue of slavery not be included in the story. We deserve neither credit nor blame for our ancestors and the degree of interest in this story suggests that we are, as a nation, still grappling with the terrible legacy of slavery. It is an examination well worth continuing. I am glad that my story, however indirectly, will contribute to that discussion. While I don't like that the guy is an ancestor, I am happy that aspect of our country's history is being talked about. I have to agree with the Batman fan: well said, Ben. And you do look badass in that suit.